Smoke and sweetness in perfection. Incredibly sweet, tasty and delicious. 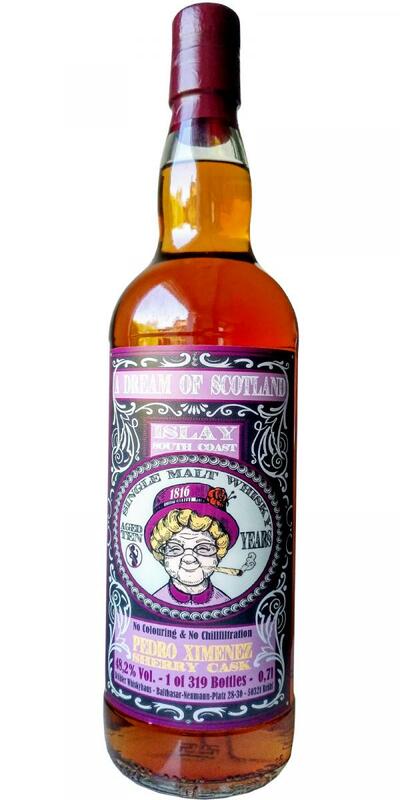 Wonderfully balanced and sweet fruity PX-Sherry with a subtle smoke note, dates, honey, red fruits in frosting. Ripe strawberries, cherries, forest honey. The alcohol is fabulously integrated and it could have been more than 50% by volume. Slightly peppery smoke. The sweetness and fruits stay long, the smoke accompanies discreet and pleasant.